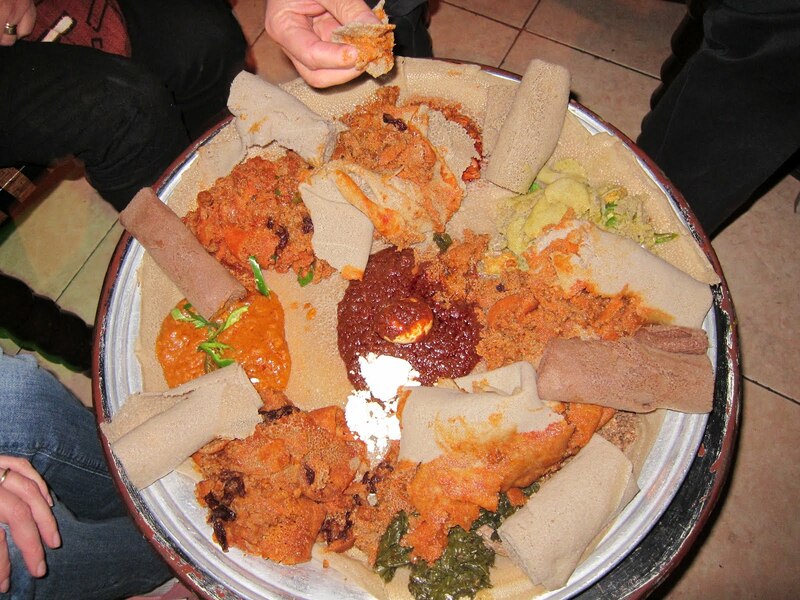 A typical Ethiopian meal consisting of injera and several kinds of wat (stew). Wash your hands before picking it up. Addis Abeba, Ethiopia, January 2012.